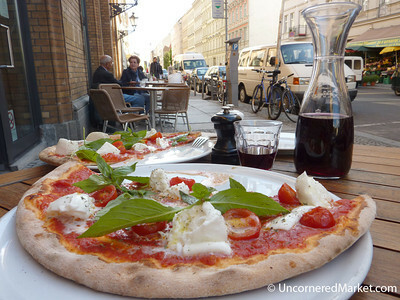 A selection of Berlin's finest budget dining experiences from Kreuzberg to Mitte to Charlottenburg. 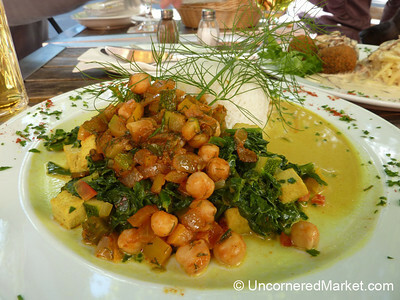 Includes Turkish, Lebanese/Middle Eastern, Italian, German (Bavarian and Schwabien), and Southeast Asian (Thai and Vietnamese) cuisine. 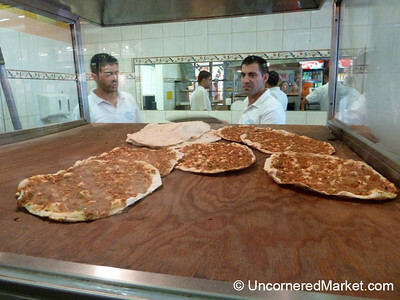 Turkish pizzas (lahmacun) fresh from the oven at Hasir Restaurant in Kreuzberg, Germany. 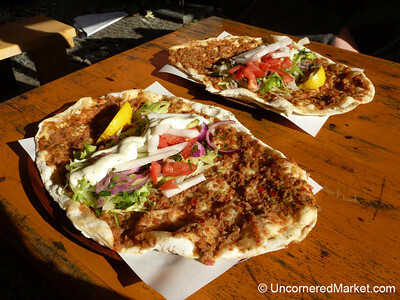 A delicious slice of a döner durum at Didim Restaurant in Neukölln, Berlin. 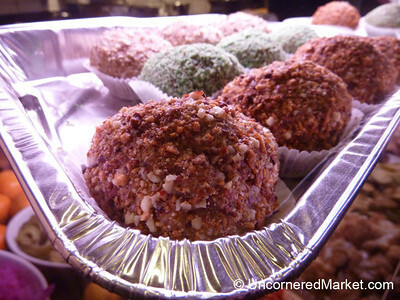 Delicious nut balls made with almonds, pistachio and hazelnuts at Daye Falafel in Prenzlauer Berg in Berlin, Germany. 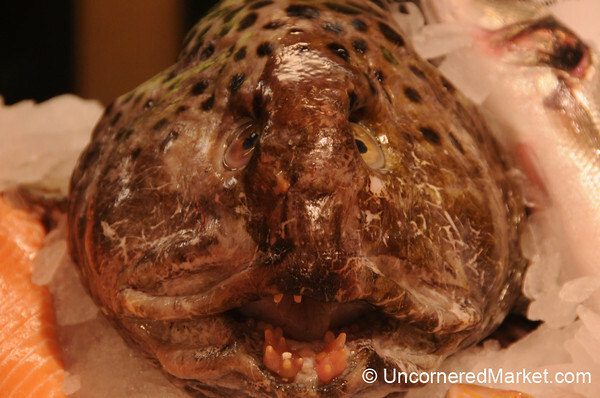 An ugly wolf fish on offer at Rogacki Deli in Berlin, Germany. 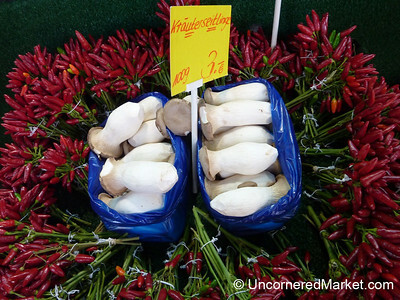 Beautiful, forest mushrooms for sale with spicy chili peppers at the Turkish market in Kreuzberg, Berlin. 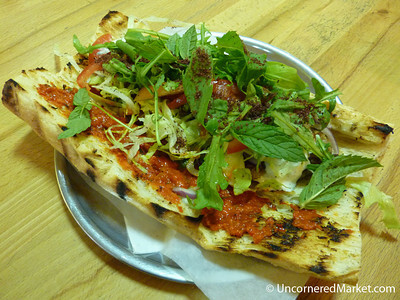 Some of the best food in Kreuzberg - a falafel sandwich from Maroush Restaurant in Kreuzberg, Germany. 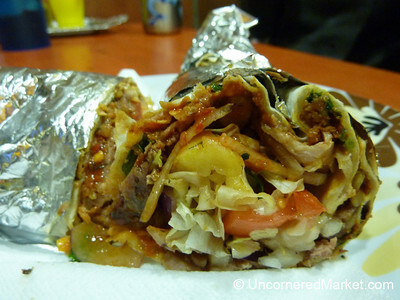 Tekbir Döner in the Kreuzberg neighborhood in Berlin is famous for its meat because it is veal instead of processed lamb meat. 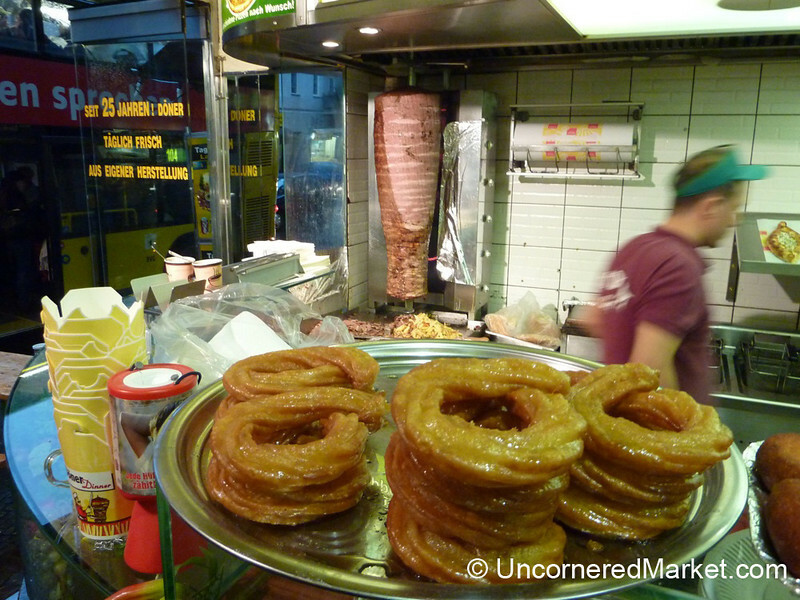 Here, the döner master shaves meat away from the giant spindle. 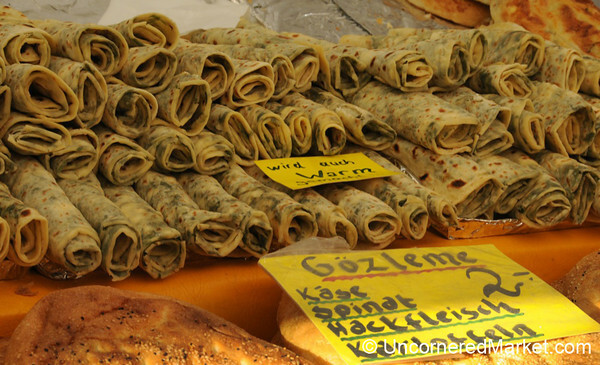 Piles of honey-sweet rounds at Didim Restaurant in Neukölln, Berlin. 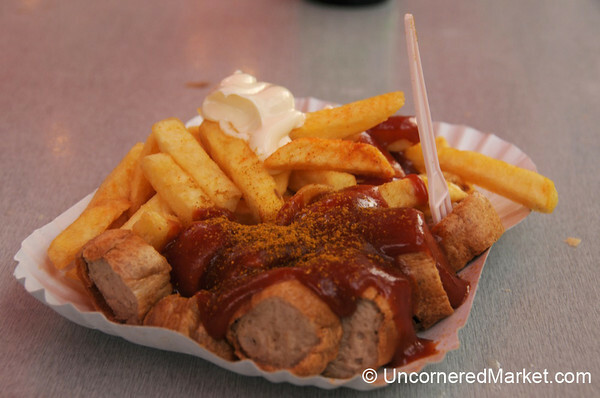 A dose of currywurst and fries at Konnopke's Imbiss in Prenzlauer Berg, Berlin. 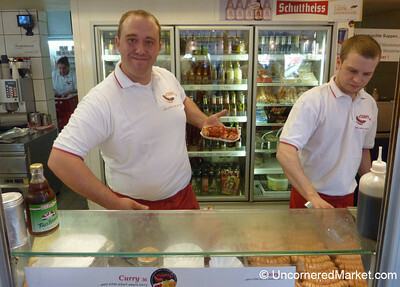 We liked the sausage here, but it could have used a bit more curry spice. 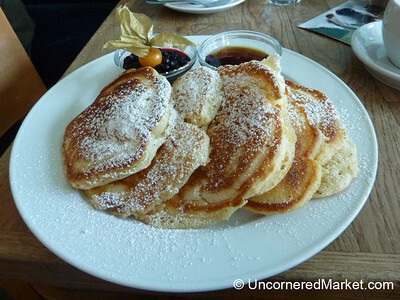 A hearty breakfast of pancakes with blueberry sauce at Blaues Band in Prenzlauer berg, Berlin. 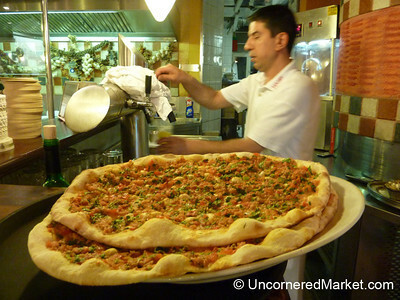 An awesome first meal in Berlin of lahmacun (aka, Turkish pizza) with salad on top. 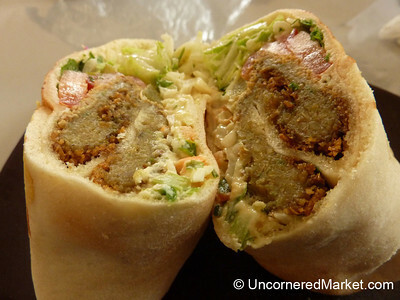 Freshly cooked, thin bread crust, perfectly herbed ground meat spread on top, and fresh salad. Delicious. 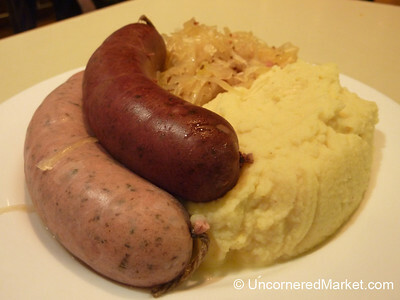 A traditional - and very rich - lunch at Rogacki deli of blutwurst (blood sausage), leiberwurst (liverwurst), mashed potatoes and sauerkraut. 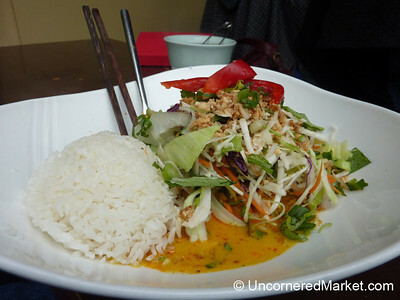 Very good, but we didn't need to eat for a week afterwards. 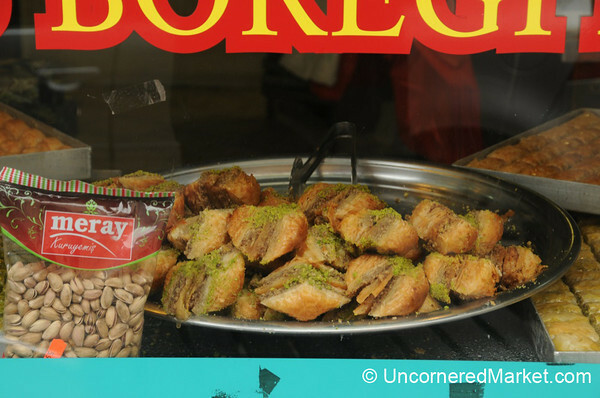 A display of pistachio pastries and variation of baklava at Kolucoglu bakery in the Kreuzberg neighborhood of Berlin, Germany.